Home » Cheap and Good? 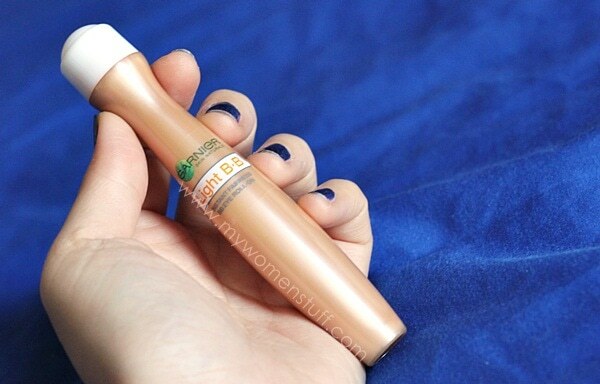 » Roll on Garnier Light BB Eyes Roll-On, Begone Dark Circles! Roll on Garnier Light BB Eyes Roll-On, Begone Dark Circles! I’ve run out of my #1 undereye concealer/highlighter (Dior Skinflash #002 if you’re wondering) for a little while and haven’t gotten round to buying a replacement. I’m sort of tardy that way and was recently gifted with #001 by a friend who didn’t know what to do with hers, so yay! 😉 001 is quite different from 002 though, so if anyone is seriously considering trying the Dior Skinflash, I suggest you get 002 for the undereye area. 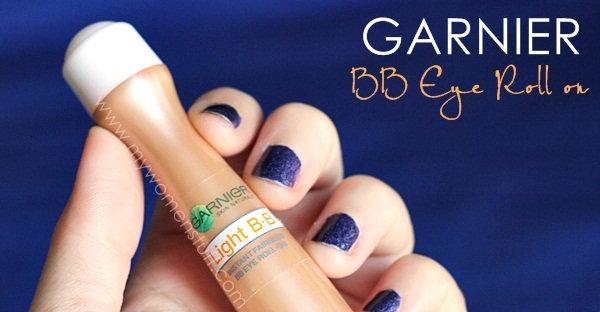 Anyway, rambling aside, I went digging in my stash to see what I could find to replace it temporarily, and I spotted the Garnier Light BB Eye Roll-on. Ah! I remember Xin raving about it before it appeared on our shelves, so I decided to see if it would do the job. The product is an eye roll on, rather like the cooling eye roll ons by Garnier that promise to depuff the eyes. The difference is that this is tinted, so you can use it as a 2-in-1 product – treat your under eye area and conceal at the same time. You dispense the product by rolling the steel ball on the under eye area. Its very cool against your skin which is quite nice in the mornings, when you may wake up with puffy eyes like I sometimes do. Its also very soothing. However, I ran into a few problems. The product does not dispense evenly and sometimes gets stuck. Some mornings, when I unscrew the cap and try to dispense the product, it doesn’t come out. I have to sometimes shake it, and roll it on the back of my hand a few times before it dispenses properly. This may be to do with the fact that I store it standing up, so maybe the contents take a while to reach the roller ball. If you store it lying down, you may have less problems than I did. The other drawback is that it can get grubby looking quite quickly. As you can imagine, the product is tinted, so the ball and surrounding plastic can look a bit grubby after prolonged used. Its quite easy to wipe it down if it bugs you, and I do it. That aside, the tint and texture is quite light, and does a fair job at concealing dark circles or redness around the eye, and in brightening the eye area. If you have fairly tanned skin it may not be a match for your skintone. Here are some really scary before and after photos to show you what I mean. I just use 1 swipe of the Garnier BB Eye Roll On, once I get it going. I always roll it on the back of my hand first, because I’ve found that it can sometimes go on goopy or be stuck as I’ve pointed out above, and does not apply smoothly. So, I roll on the back of my hand until I see it applies smoothly, before applying to the under eye area. A convenient product that is a tinted eye roll on by Garnier. As an eye care product, the only nice thing is the cool steel ball which soothes the eye area and helps to marginally depuff the eye area. 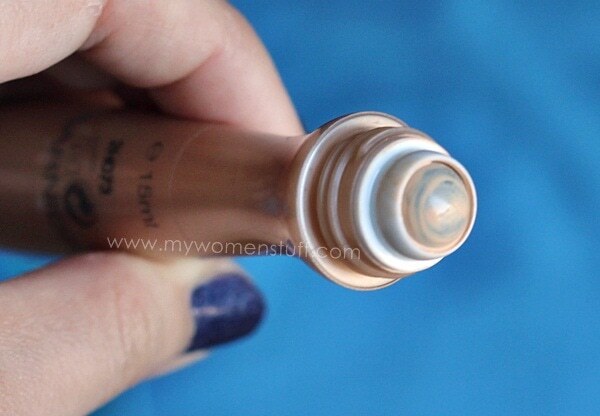 As a concealer, it does a fair job at concealing under eye circles or redness. It does brighten the eye area a little and provided you do not use too much (I recommend just 1 roll) it isn’t thick or cakey. Its definitely worth taking a look at. PREVIOUS POST: Simple Blogging Tips: Do you have an “About Me” page? I’m using it right now, don’t have any life changing result but its working quite ok to satisfy my basic needs i guess. So I’m like not not intending to purchase any other under eye product until this is gone. not too bad this one, easy to use! but there’s another shade available, which we don’t get it here. I think the one we have here is Natural, lacking the shade Light. i think I swatched natural before and thought of it being a little too dark, i bought light instead, works fine for me. Hello!! I think I’ve got the European version of this product and mine’s in the shade Light. I am not sure if it’s any different from yours though and I reviewed it some time ago… Here’s the link! Hi Sukie! I reckon its probably the same or similar 🙂 Thanks for sharing! It does blend into the skin quite well and I somehow have a feeling it may work for you. But best to try it out at the pharmacy and see first – don’t want to waste it! This is quite nice, if you have minimal dark eye circles, like you…but if you have whoppers like mine, you’ll need something more heavy duty! I believe it was! Have you tried it? Nice, I wanna try it! I wanna get this for everyday use. I look so tired with just SPF on at work! I have been using it for a while. But infrequently, because I don’t really use concealer. Think it’s okay. Will do when I need a concealer. haha, but not raving about it. I think it sinks into fine lines very easily, so still have to apply some other cream. i got it from your awards event. it got stuck after 3-4 uses and never dispensed anything at all. i thought it was ok until i saw that my fine lines got deeper. stopped using it as i don’t think it does a good job at moisturising my eye area.